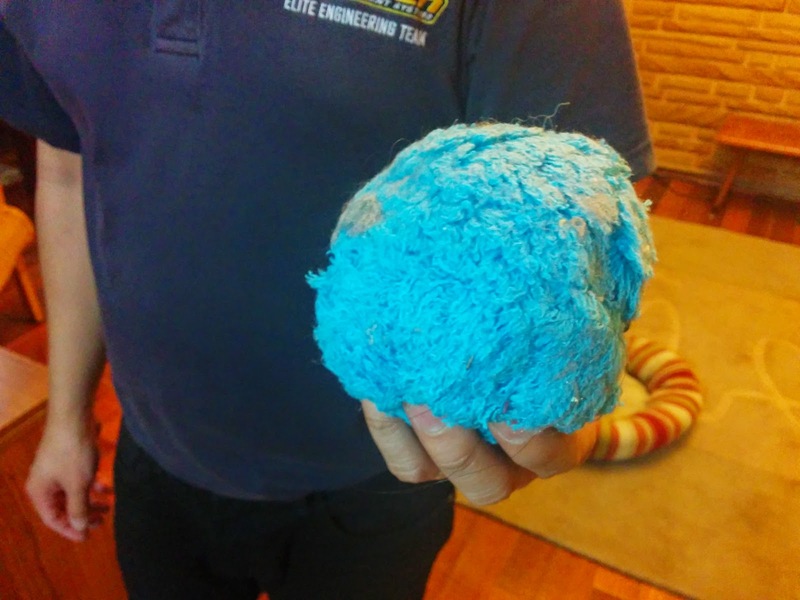 Mocoro - fuzzy blue (or pink, yellow or green) gadget that cleans your floor and is fun. It's marketed as a robotic floor cleaner. If you want one for yourself, I'll be listing a few 'spares' I bought on Oddswop (if shipping from Overseas my take was getting a few more). Although I'm tempted to keep them all for myself and giving them as gifts to others. I have used it for a short stint and can confirm that it cleans! I have a very dirty cover thing for proof! Oh and when rolling around a rug it doesn't seem to have the power to go ontop of the rug so all good. All the hidden dust and hairs under the seats were cleaned up. WIN!